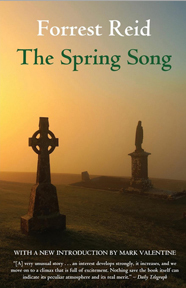 Fifteen year old Graham Iddesleigh dreams of a past life, where he frolicked in a garden with a young Greek god. However, his dreams threaten to come to an abrupt end when his father decides to send him away to school. But what is Graham's surprise when he meets a fellow schoolboy, Harold Brocklehurst, who is the very image of the Greek god of his dreams! Graham falls deeply in love with his new friend, and the two boys spend an unforgettable summer together--until a heartbreaking tragedy occurs, a tragedy that will change Graham's life forever. The Garden God was first published in 1905, in the wake of the Oscar Wilde trial and other scandals, and risked controversy with its undercurrents of pederastic desire. Forrest Reid dedicated the novel to his idol, Henry James, who was outraged and never spoke to Reid again. This first ever scholarly edition of the novel includes a new introduction and notes by Michael Matthew Kaylor, who dismisses the traditional view of Reid as merely a provincial novelist and argues for his inclusion among the major Uranian writers such as Pater, Wilde, and Frederick Rolfe. 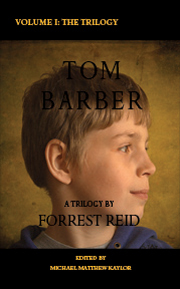 Forrest Reid was born in Belfast in 1875, the youngest of a large family. His father died when he was still a young child, and much of his upbringing therefore fell to his rather conventional mother and his elder sisters. As a youth he felt ill at ease with what seemed the narrow piety of his family’s Presbyterian faith, and their solid middle-class values. After a local schooling, he was apprenticed at age eighteen to the tea trade. The work was not demanding, and Reid coped with the tedium of commercial life by retreating into a dream world of wonder and beauty, inspired by his reading of the Greek classics. Reid later disowned his first two novels, The Kingdom of Twilight (1904) and The Garden God (1905). The latter novel risked controversy with its portrayal of romantic friendship between two boys; Reid dedicated it to his literary idol Henry James, who was outraged and never spoke to Reid again. 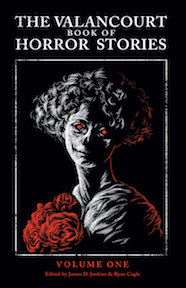 After the death of Reid’s mother, a small legacy enabled him to devote himself more fully to his writing, and in the 1910s he published a string of excellent, though not commercially successful novels, including The Bracknels (1911), Following Darkness (1912) (said to have been an influence on Joyce’s Portrait of the Artist as a Young Man), At the Door of the Gate (1915), The Spring Song (1916), and Pirates of the Spring (1919). 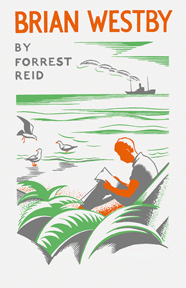 The best of Reid’s works, though, came later in life, beginning with Uncle Stephen (1931), which, with The Retreat (1936) and Young Tom (1944), made up the Tom Barber trilogy, regarded by many as his masterpiece; the final book in the trilogy won the James Tait Black Memorial Prize as the best novel published in 1944. 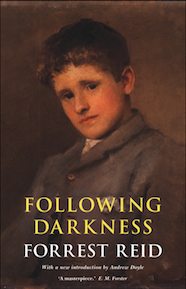 Reid’s other mature work includes Brian Westby (1934), inspired by Reid’s friendship with nineteen-year-old Stephen Gilbert, who also went on to become a novelist, and Peter Waring (1937) and Denis Bracknel (1947), rewritten versions of Following Darkness and The Bracknels, respectively. Reid died in 1947, critically well-regarded, but never having achieved the widespread popular recognition he deserved. 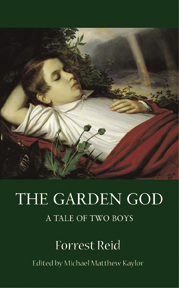 When Valancourt Books reprinted The Garden God in 2007, all of Reid’s books were out of print. 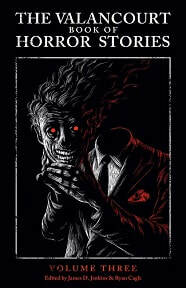 Valancourt is now in the process of restoring Reid’s best works to print.